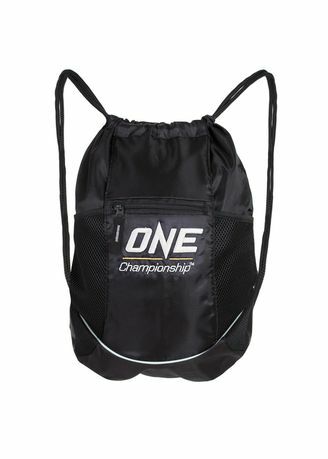 Travel in comfort as you rock the authentic ONE Championship Drawstring Bag. This spacious lightweight backpack features the promotion’s iconic logo on the front, and is great for light travel, carrying gym clothes, and even carrying books for work or school. Also, there is a zipper pocket to hold smaller items, as well as mesh netting on both sides for extra storage.